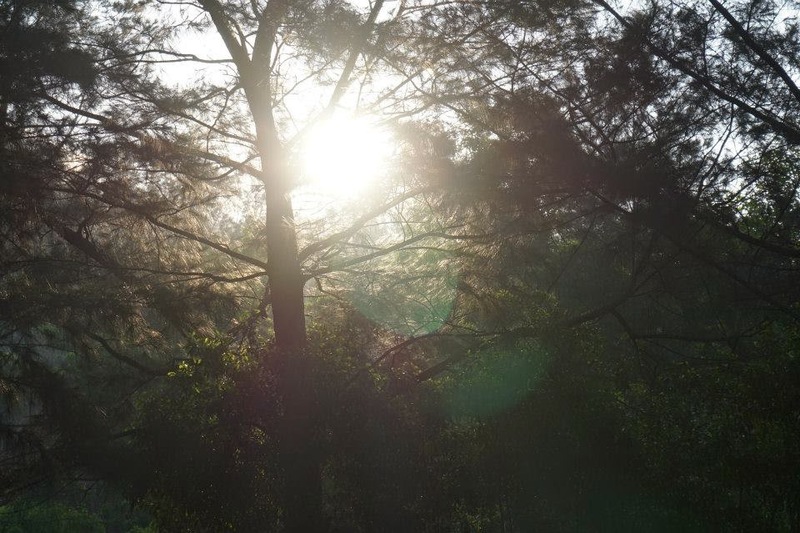 Five to six hours away from Metro Manila is a place of serenity, a place perfect for reflection. 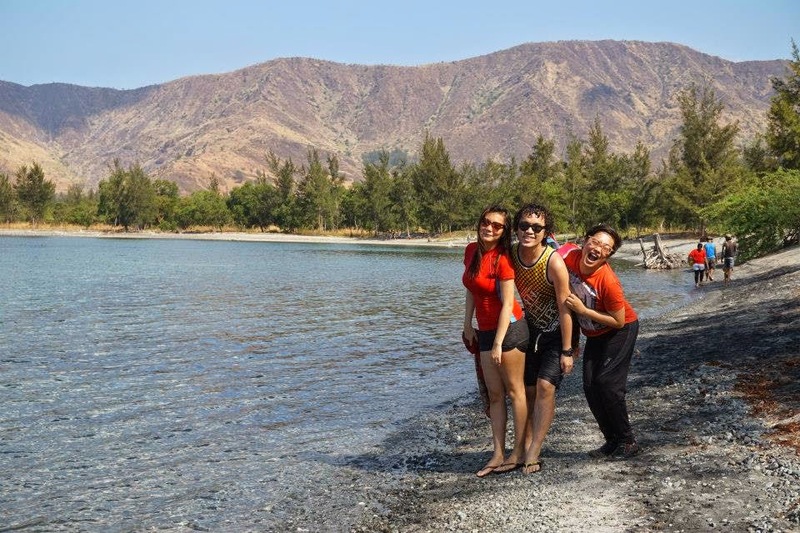 This place is Silanguin Cove in Zambales. 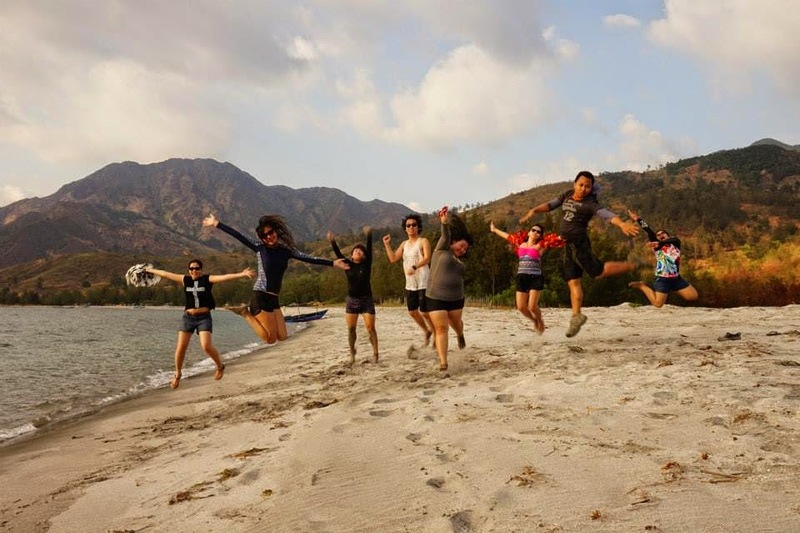 Last April 2-3, 2015, I was invited by my bestfriend, Harold, to join the outing of his former officemates from the Commission on Filipino Overseas (CFO) in Silanguin Cove, Zambales. 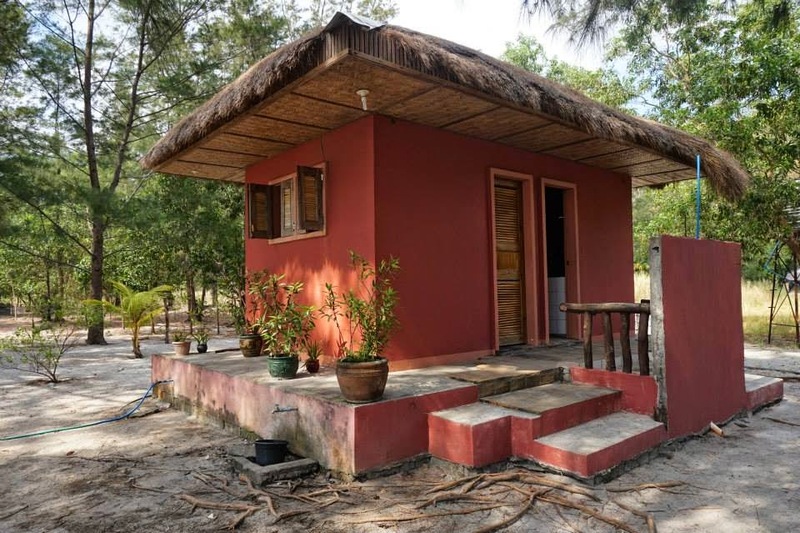 It’s a “back-to-basic” themed trip, according to him, since we would be staying in an island where there’s practically no electricity and no communication signal. Since I love meeting new people and traveling on a budget, I immediately accepted his invitation. Despite the threats of an imminent super typhoon, we bravely pursued with our trip. It turned out to be a memorable experience, indeed. 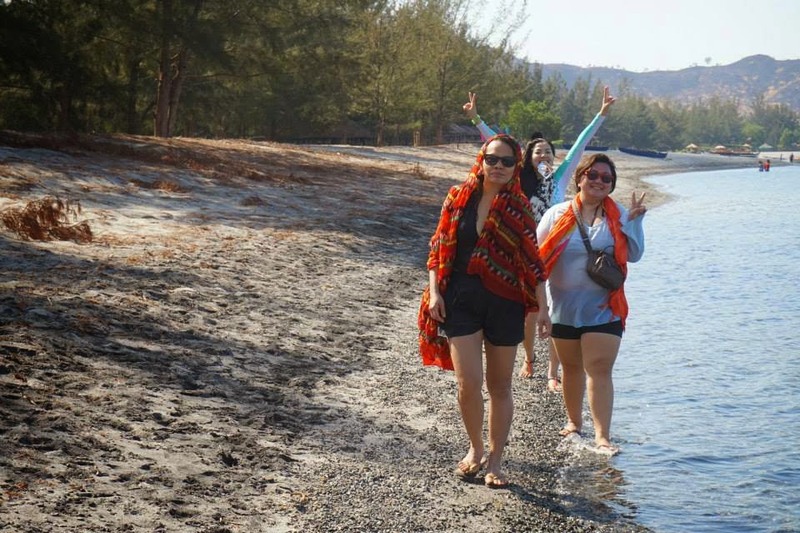 Bathe in the waters of Silanguin Cove, or be kissed by the sun! It was Nico, his officemate and my friend, too, who organized and coordinated this trip. Days before, he’d been sending out reminders to people of what to bring. He was also the one who managed the finances and bought our food and supplies. Our meeting place was at the CFO Office. Our call time was at 4:00 am. 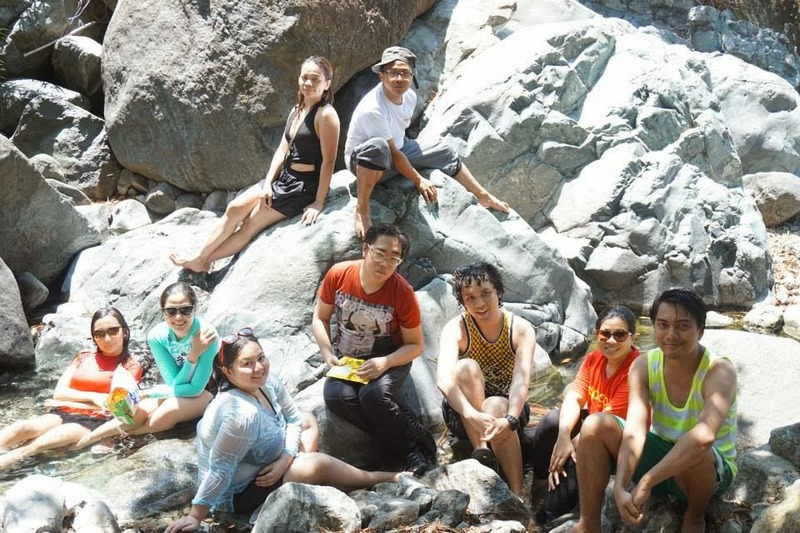 A 12-seater van was rented for Php 7,500 (the cost to be divided among the nine excursionists). 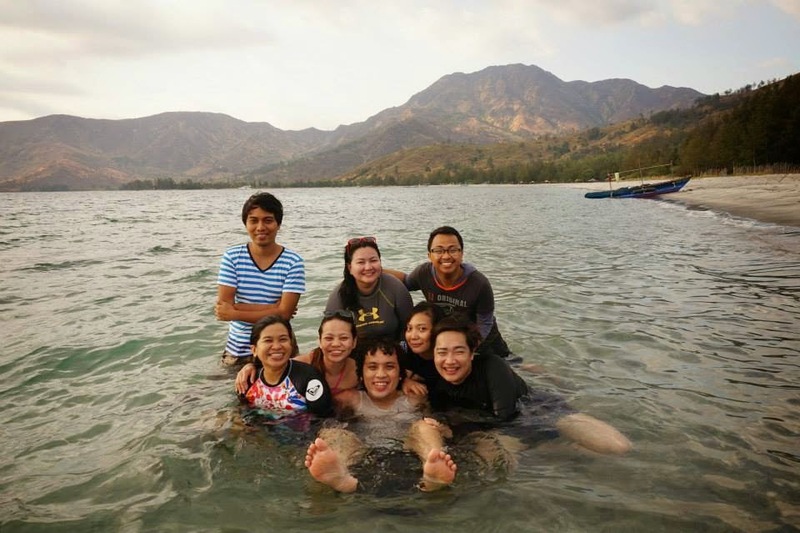 I was introduced to Harold’s other officemates, namely, Kris (whom I already knew), Kris’s sister Jack, Frenz (a travel blogger, frenzfries.blogspot.com), Ate Cheng, Joan, and Graciel. These people have been traveling yearly together – they were all fun to be with! We left at around 5:00am and reached Pundakit at around 9:30am. Because of the early call time, we were asleep during the travel. Upon reaching Pundakit, Nico coordinated with Ann, his contact. Nico got Ann’s number from a blog. From there, we transferred to a motor boat that would bring us to Silanguin. The motor boat cost Php 4,500 (this included the payment for the motor boat for Php 4,200 back-and-forth and the payment for the gasoline for Php 300). 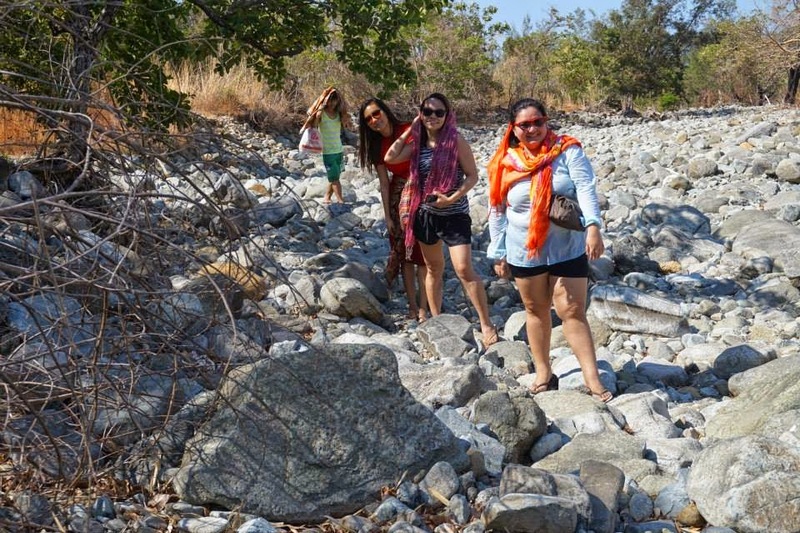 The boat ride from Pundakit to Silanguin took us around an hour. 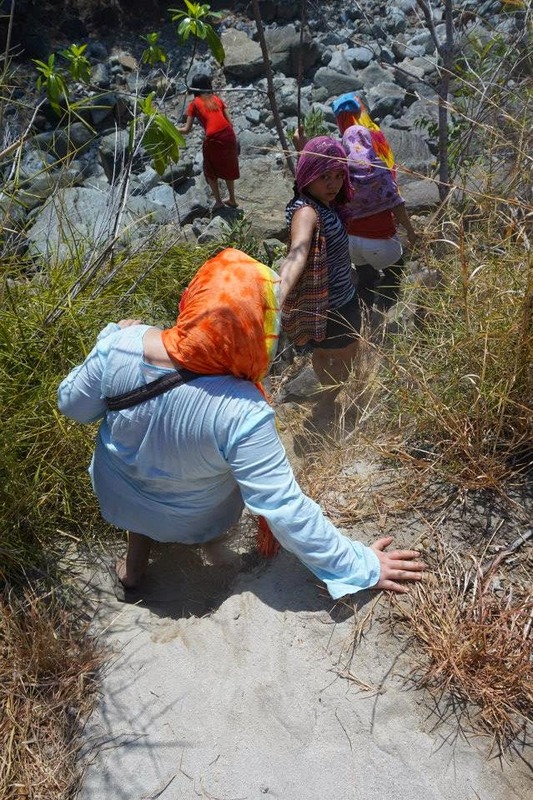 Silanguin was farther than Anawangin and Talisayen Coves, which are popular destinations, too. The boat kissed the sand of Silanguin around 11am. We were greeted by the signage “Puerto Silanguin: Welcome” upon getting off the boat. My eyes outlined the stretch of the shoreline. I saw only a few tents that were set up. 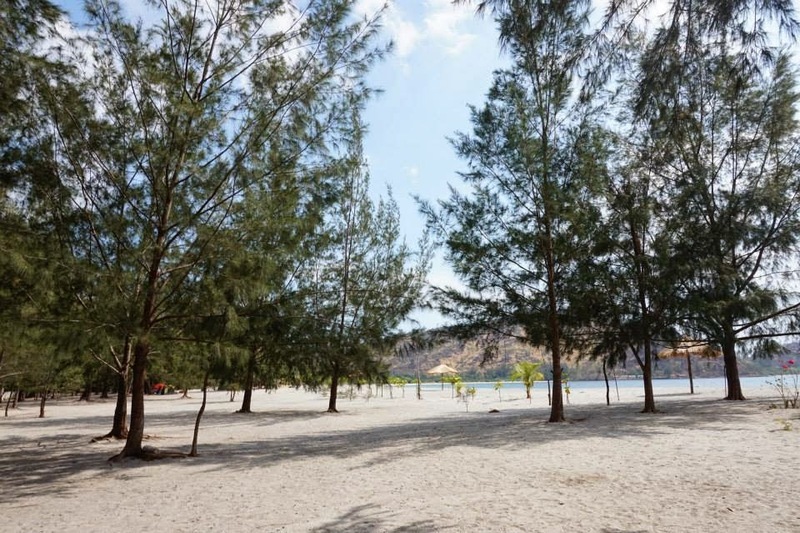 According to Frenz, if one was after a “quiet place”, then Silanguin was the place-to-be. Silanguin was way better than Anawangin, since the latter has been massively promoted, particularly in group buying sites. Our fee for the place where we stayed, inclusive of the tables, was only Php 150 per head. We immediately set up our tents and prepared our lunch. Jo was our resident chef, the one who’s in-charge with food preparation. We shared the chicken adobo she cooked at home, salted egg with tomatoes, and steamed eggplant with Barrio Fiesta Bagoong. Everything was perfect with warm rice! 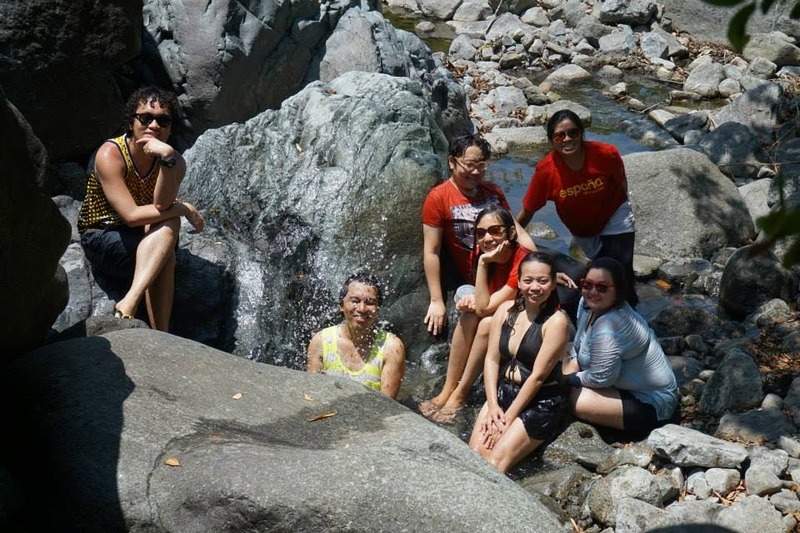 After having our lunch, some of us went swimming while others opted to rest. I rested and enjoyed the view of the calm sea, which seemed to talk to me saying “throw all your burdens away, everything will be fine”. I also loved looking at the pine trees in the island as they added to the peaceful ambiance. 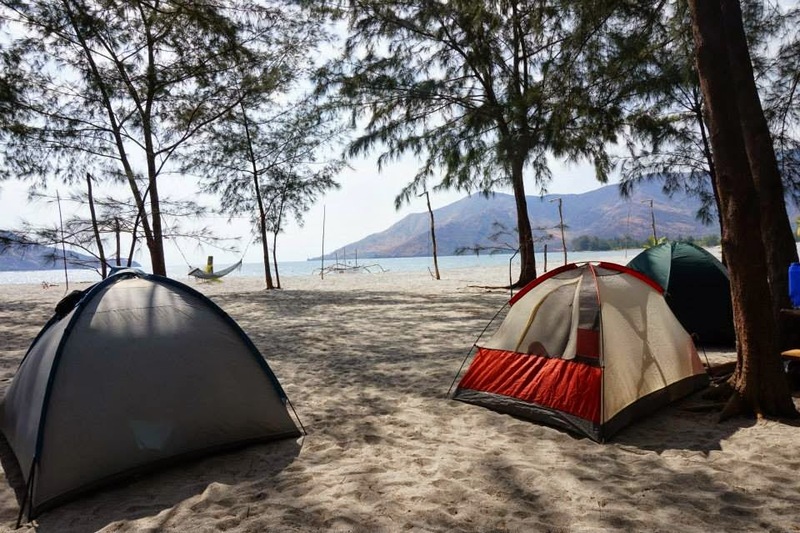 Our tents under the pine trees, with view of the sea and the mountain ranges! The toilet and bath was fairly decent, but it's dark at night! 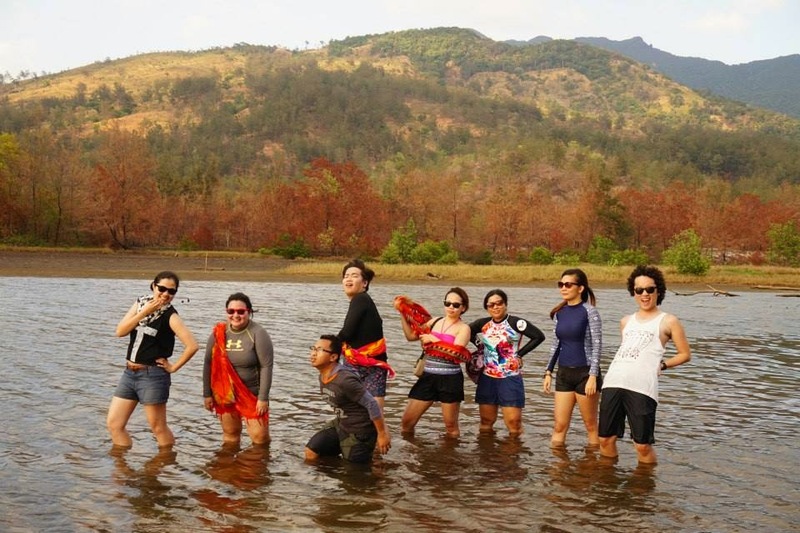 In the afternoon, we strolled along the shore and had our various group photos. 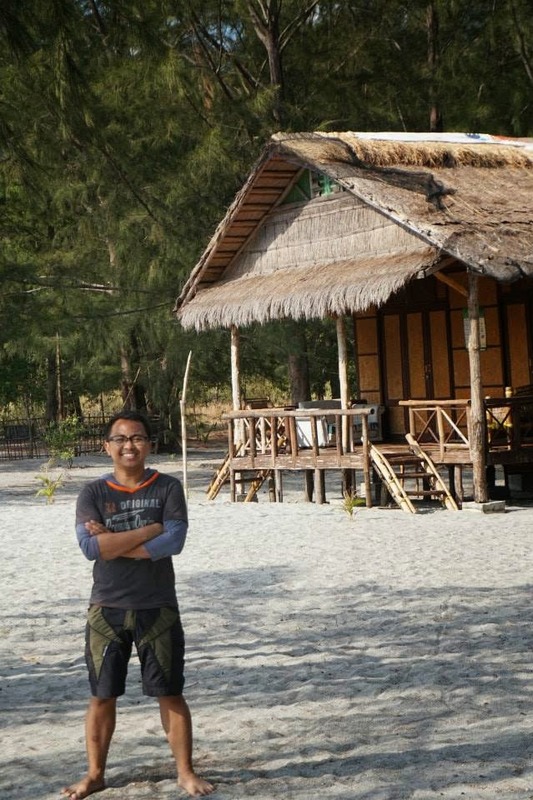 We also looked for other locations with beautiful background, other than the sea and mountain ranges. The fiery red leaves on those trees were just magnificent! Frenzel, Graciel, and myself attempted to discover the way to where we could see the “overview” of the island. The two mentioned that whenever they go for a trip like this (e.g. Anawangin and Nagsasa), they would always find the “overview”. But this time, what we found were dogs waiting to bite us, if we pursued with what we were planning! 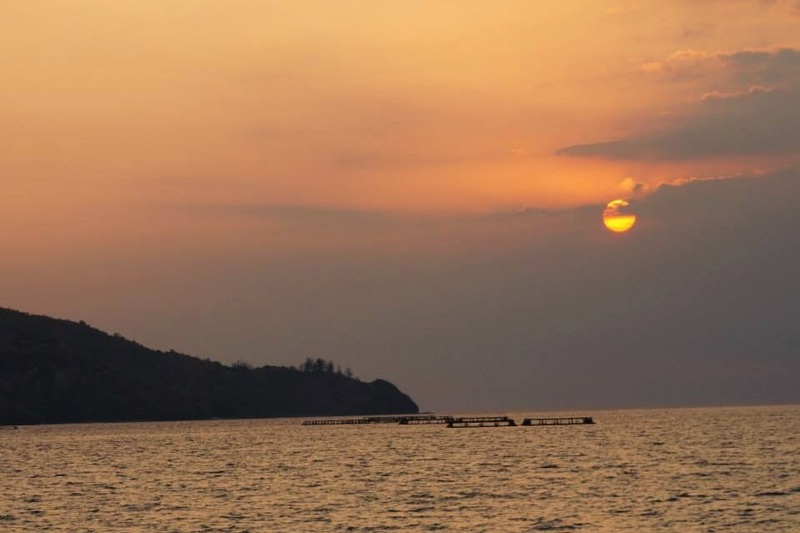 When the sun set in Silanguin, I knew that the fun had just started. Since there were no electricity, we had to make use of the natural light - the moon light! Good thing, we’re able to bring candles and pink emergency lamp! The challenge, however, was taking a bath in a creepy restroom that night! The sunset was so dramatic! 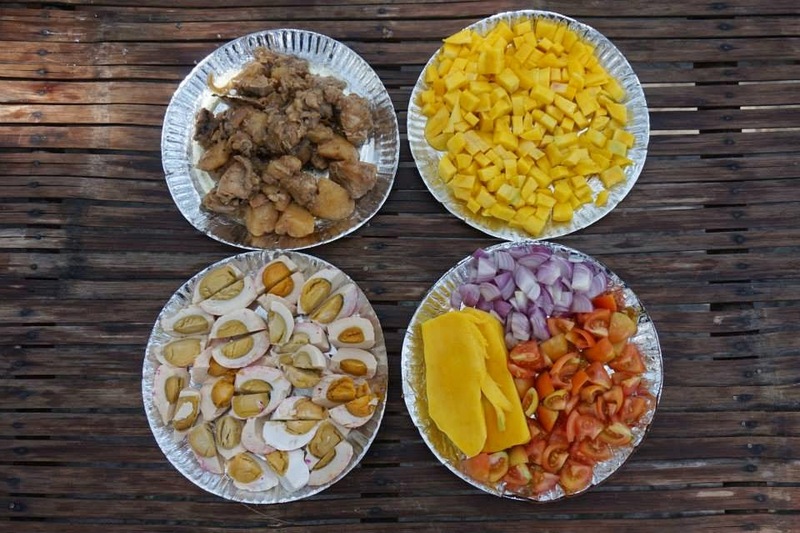 Jo prepared fried Century Daing na Bangus (dried milk fish) for everyone. Just before frying the fish, we found out that we forgot to bring the cooking oil! 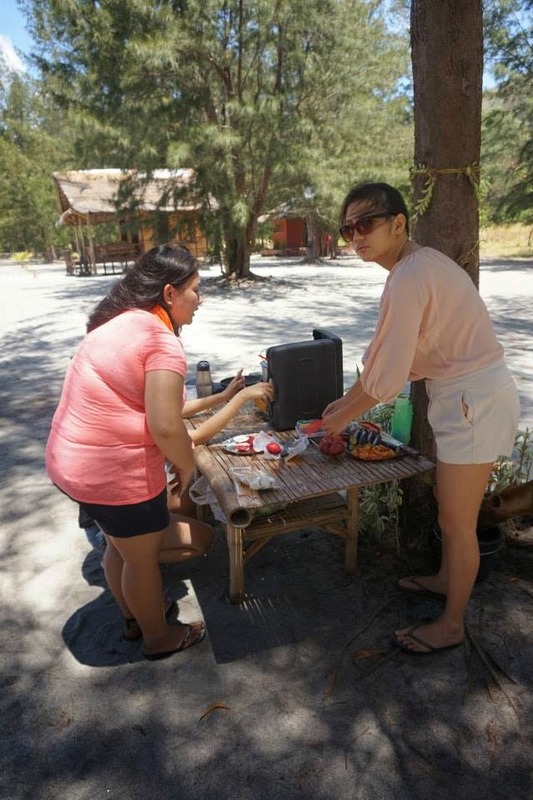 We asked the kind caretakers if they were selling cooking oil and After having our candlelit dinner, we prepared the hotdog-and-marshmallow skewers which we would fry later on. 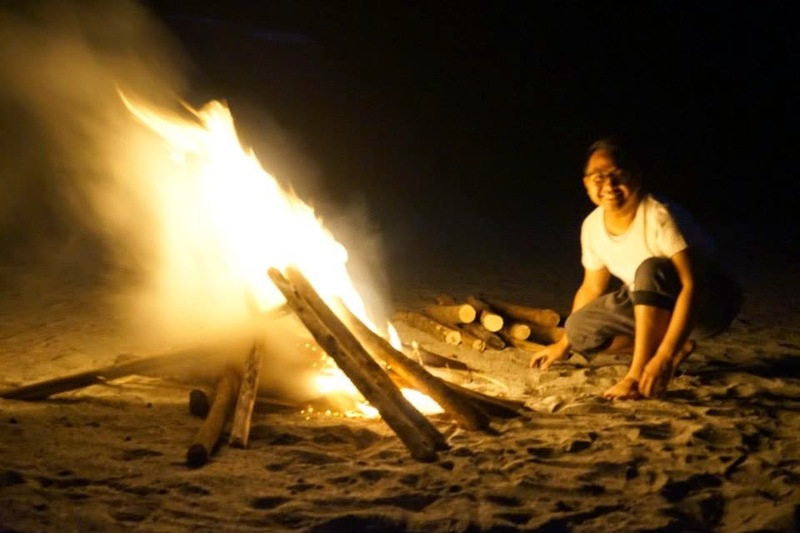 We bought firewood for Php 150 and we started our bonfire. 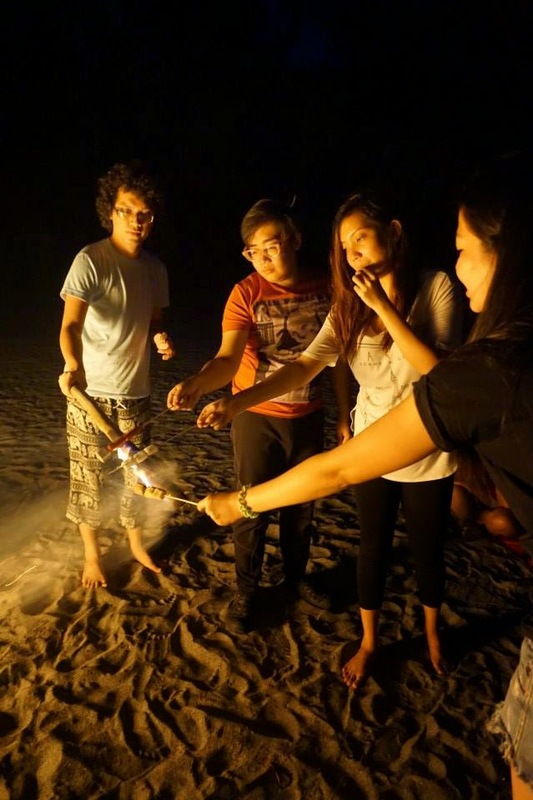 We grilled the hotdogs and marshmallows skewers we prepared while sharing stories and gazing at the night skies. 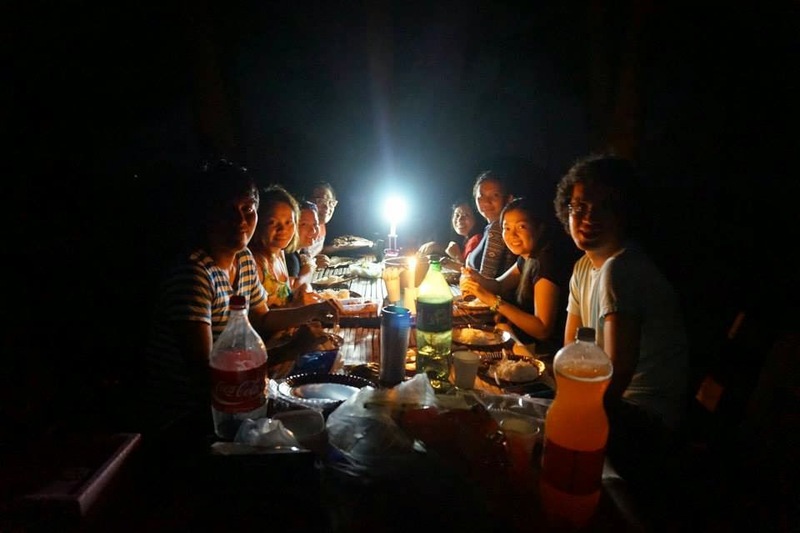 In a place where there’s no signal, this was the best way to reconnect with nature and bond deeply with people. By the fire, I smiled. This was how we grilled our skewers! At 11pm, we slept. I stayed inside my tent, while others slept outside to be caressed by the breeze. 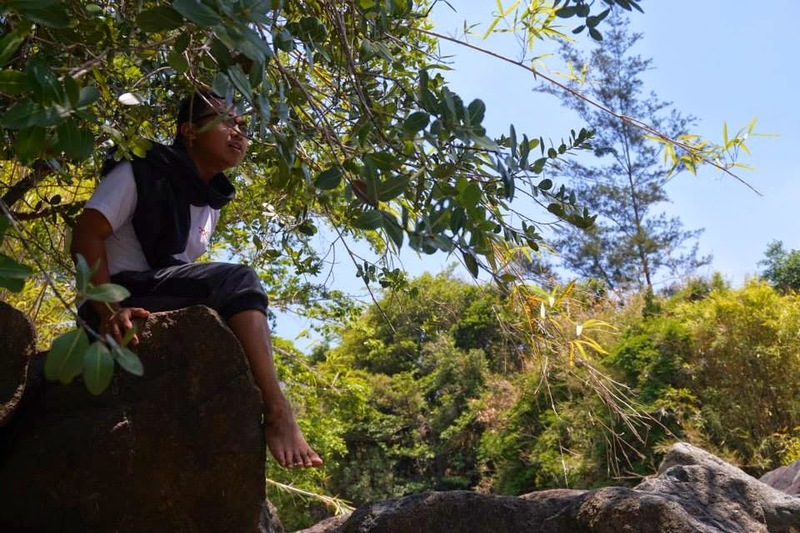 According to Nico, he found in the blog that there’s this beautiful water falls in Silanguin, so we scheduled a trek to find this. It feels good to wake up to this view! We woke up at 7am, had our SpamSiLog (spam, fried rice, and fried egg) breakfast prepared by Jo, and prepared for the an-hour-and-a-half hike. 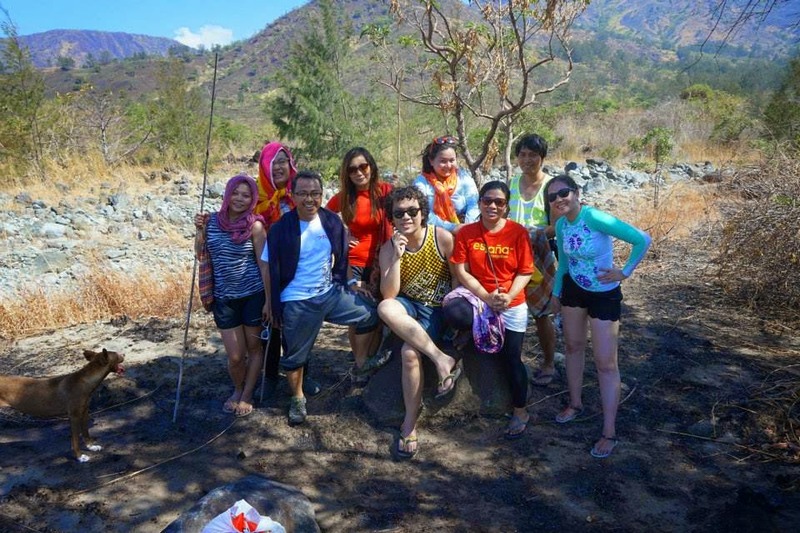 The sun’s rays already hurt the skin, but despite this, we continued with our journey. 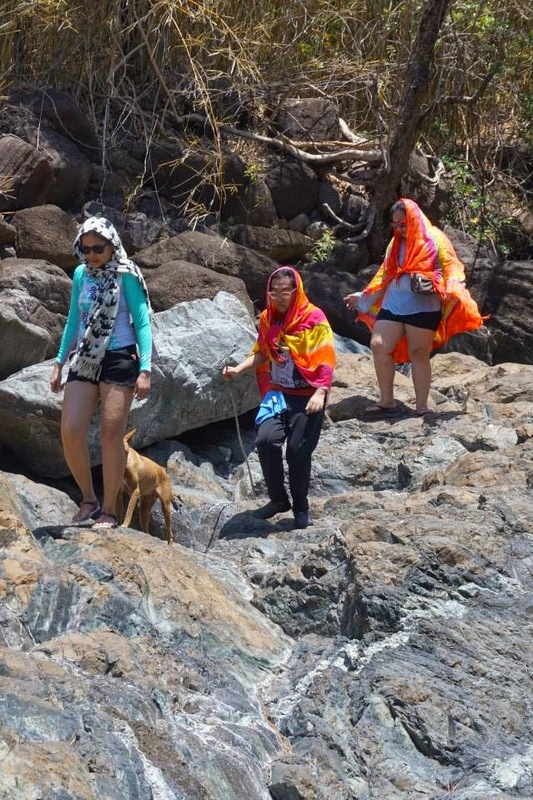 Our two tour guides were joined by their dogs. 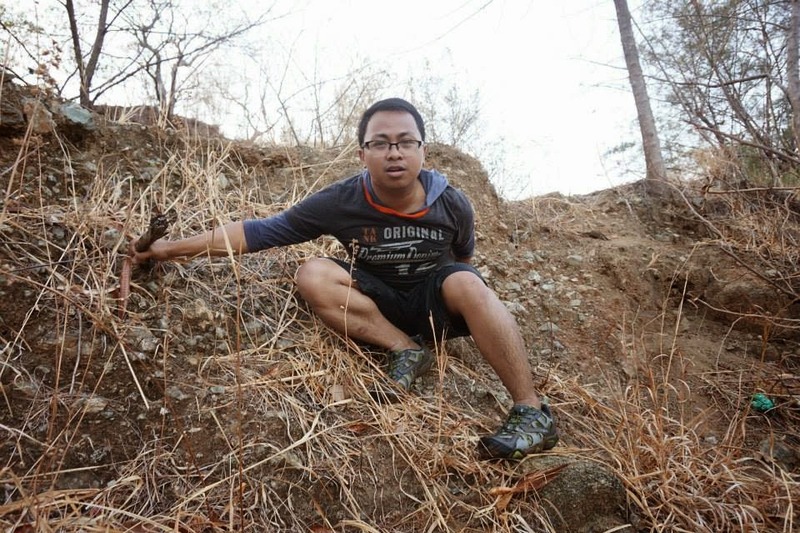 We traversed rocky paths and passed by kaingin areas (with newly burned bamboos). 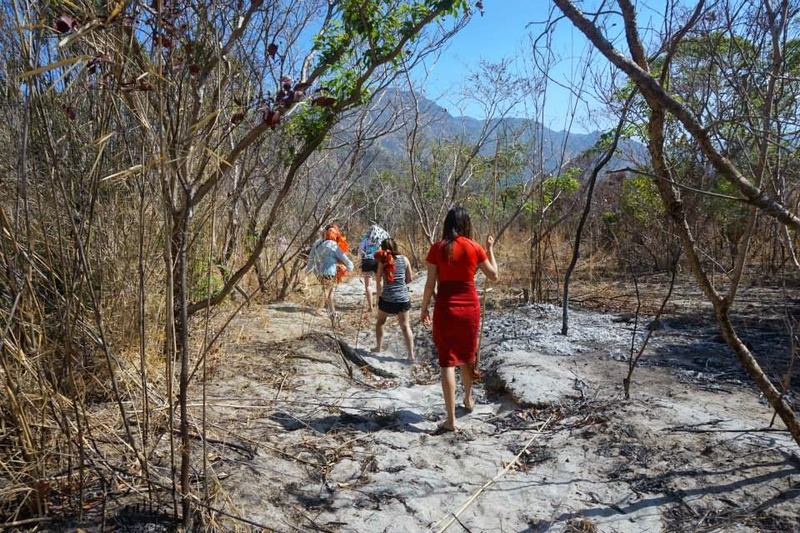 We suspected that we were lost and were not following the correct track. In other words, we were not able to find the “breath-taking waterfalls”! Instead, what we found was a stream! But despite that, we just enjoyed water flowing from the stream. Gra, Kris, and Jack were excited to see the falls! And so were Jo, Nico, and Harold! ...'til they found boulders of rocks, and a stream...but not the "falls". So they just pose for the camera, again. As for me, I found this lovely spot! We traversed a shorter path going to our tents. We’re scheduled to leave the cove at 2pm. Thus, upon reaching the site, we immediately freshened up and prepared our lunch (sautéed canned mackerel). We cleaned up our area, collapsed and folded our tents, and checked our things. We left at 245pm. 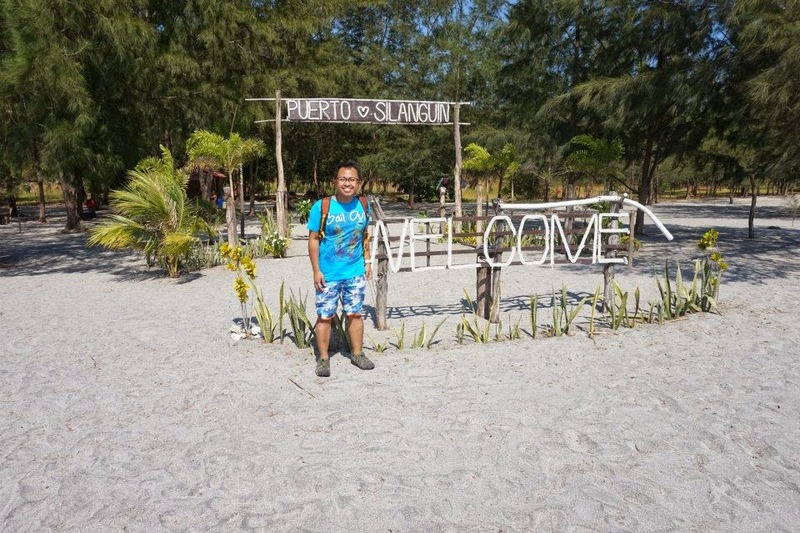 Just before leaving, I had my photo at the Puerto Silanguin welcome marker. And as our boat drifted away from Silanguin’s shore, to my mind, I was thanking the people and place, for providing me this experience.